Earlier this week I went to Home Depot to buy some filters for our house. You should replace them every month or so apparently and ours haven’t been replaced since June, possibly longer. While walking around, I decided to check out some grills. We’ve been postponing purchase of a propane grill for most of the summer as other expenses held higher priority. Specifically a bed for guests, some basic IKEA furniture, rugs, food, mortgage and me paying my debt off. A good grill runs about $199, then propane is $40 and once it runs out a replacement will be given for around $17. I also have a $25 gift card and a friend with a Ford pickup that can help me move it into our home. Why is someone trying to pay off debt buying a $200 grill? My boyfriend enthusiastically has spoken about getting a grill for us to cook outside for over a year now. Paying off my credit card I think sparked some debate. He makes several times my income but has 13k in credit card debt. After a few months he could have it paid off, but I do take some responsibility in that total. Whenever we eat out, he pays, for the most part he buys the groceries, takes care of the cats, for now is paying the mortgage. A $200 grill isn’t going to break me and it’s only fair I put him first once in a while. Back to the story though. I filled out a survey, giving my name address and phone # out to a friendly rep who was asking me about water testing. Compared to the underground aquifers of Long Island, the water here tastes much more like minerals. The lady on the phone kept asking about my wife and said she had to be home when they tested the water. First I told her I don’t have a wife, then she said oh do you have a girlfriend or significant other? I said yes I have a significant other. Then the rep said oh, well she needs to be there as well. I said ‘she was away’ and would be back next week. It’s not because I’m gay that this bothers me. It’s the ignorance of the rep on the phone. I could have owned this home myself or was single. I also could have corrected her. With a recent hate crime fresh in my mind,I really didn’t want to rock the boat too much. 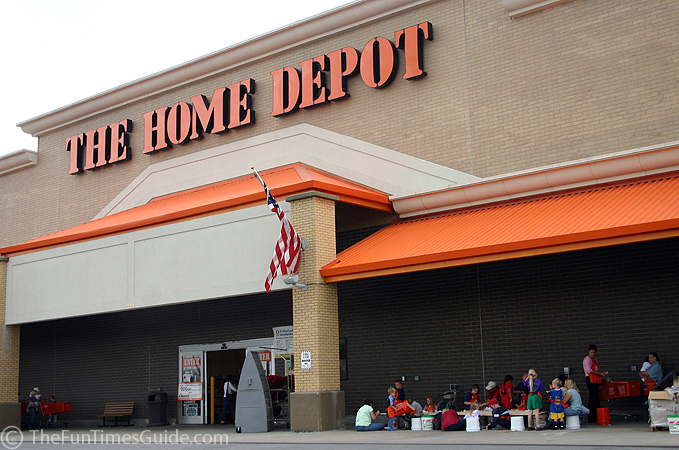 Home Depot is a gay-friendly organization and Lowe’s not so much. During my research I found an interesting Buying Guide for people looking to buy from organizations that support gay rights. I’m not that extreme though, I’ll take a good deal and quality product over their stance on these issues. Maybe when I’m debt-free I’ll be more likely to take a stronger stance on my $$$. As with the Green Mountain Energy example a few posts back, it sometimes can cost much more.